One of my personal animal favorites is the owl. There is something so majestic and mysterious about this bird of prey. Their seemingly secretive nature and haunting calls in the night have fueled imaginations over the years. 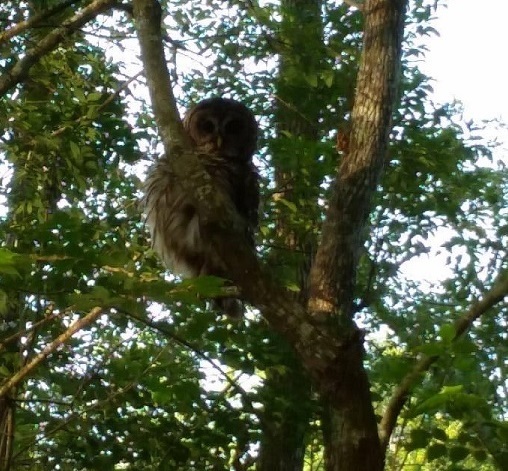 The Swamp Park is home to a species of owl known as the Barred Owl. The Barred Owl is the second largest owl in North America. Found in abundance in Southeastern, US the Barred Owl has in recent years began moving northwestward to the Pacific Northwest. While some have begun to move westward their overall preference is for thickly forested swamps in the southeast. 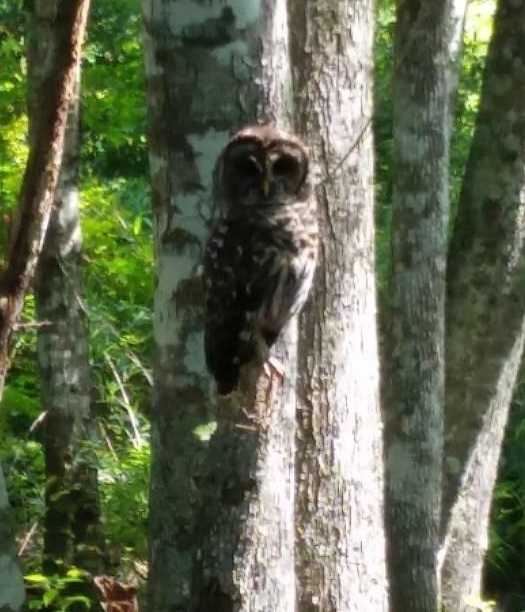 True to typical owl behavior Barred Owls are active at night, however, don’t be surprised to see one of these beauties checking you out during the light of day as you travel on our Swamp Boat Eco Tour. If you keep your ears open there is a good chance you can hear them too. Barred owls have an extensive number of calls they use to communicate with each other, and boy do they ever. The Barred Owl is known to be something of a homebody. They are non-migratory birds and typically travel only short distances from their homes. More often than not, these owls choose natural cavities in trees or abandoned nests from other owls or bird species to call their own. When it comes to the family, Barred Owls stick together for life, with the daddy owl taking care of mommy and babies, by hunting and providing food. Speaking of babies, it will soon be Spring and we hope to see some new owlets here at the Swamp. The Swamp Boat Eco Tour and The Walking Trail are great opportunities to view these enigmatic creatures and so much more. Call or go online to make your reservation today.